She's smart. She's successful. But when it comes to finding true love, shes a work-in-progress. Meet Mindy (Mindy Kaling), a single OB/GYN who wants her life to be like a romantic comedy, but just cant find the right leading man. 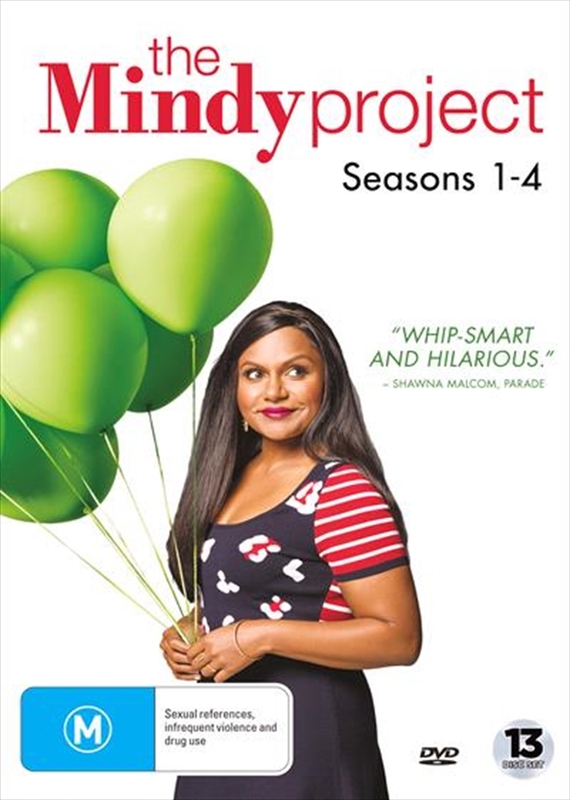 As she attempts to balance her unpredictable workplace with some truly offbeat dating situations, Mindy soon discovers that the prescription for happiness is filled with comical side effects. Guest starring Seth Rogen (Knocked Up), Ed Helms (The Hangover), and Allison Williams (Girls), James Franco (This Is the End), Bill Hader (TV's Saturday Night Live), Chloe Sevigny (TV's Those Who Kill), Rhea Perlman (Cheers), Laverne Cox (Orange Is the New Black) and Lee Pace (Pushing Daisies) watch all episodes from the first four seasons back-to-back and uninterrupted of the hit series critics are calling just plain awesome.